On the eve of International Women’s Day (March 8), we look back at some of the McGill community’s newsmakers and ground-breakers since the beginning of the academic year. Be they students, staff or alumni, researchers, faculty members or administrators, women are leaving their mark. While their areas of interest are vastly different, their inspiration is motivated by the same spark: to make McGill, and the world, a better place. 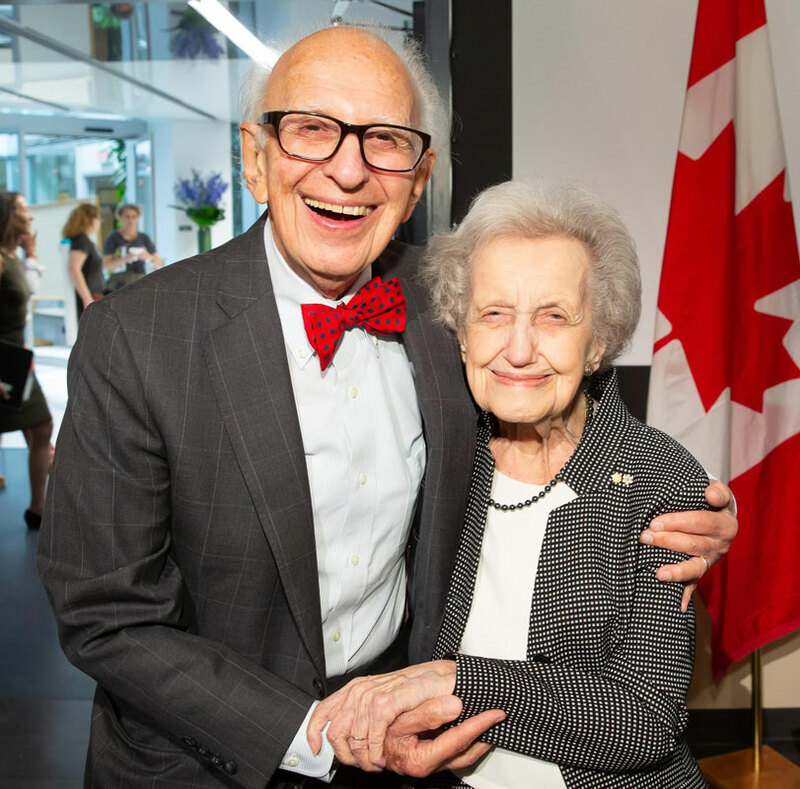 Pioneering neuroscientist Brenda Milner, who turned 100 earlier this summer, was fêted in grand style at the Brenda Milner Centennial Symposium. Full article. Associate professor of biostatistics Erica Moodie develops reliable statistical methods to promote a more tailored approach to medical treatments. She is recognized as a world leader and a Canadian trailblazer. Read more. Julie Albert, BA’92, and her sister Lisa Gnat have three Canadian-bestselling cookbooks under their belt, with a fourth book on the way. (And that’s only part of their culinary business.) “It’s been a really amazing journey,” says Albert. Full story. When a young person doesn’t have stable housing, succeeding in school can be incredibly challenging. McGill doctoral student Jayne Malenfant knows this from her research – and from her own life experience. More details. Angela Genge, Director of the ALS Clinic and the Clinical Research Unit, discusses advances in ALS testing and therapies and the profound passion that drives her research. Read the article. In September, four young leaders came to McGill as Loran Scholars, joining 129 current and former Scholars who have chosen to attend the University over the past 30 years. Full story. McGill alumni and long-time Athletics benefactors Sheryl Kerr (BCom’67) and David Kerr (BSc’65) chalked up another important “assist” for Team McGill with a $3.5-million gift to create the Kerr Family Women in Sport program which will provide support, mentorship and additional coaching to McGill’s women coaches and athletes. Read more. Dr. Cynthia Solek speaks about her work, her inspiration and how she overcame the challenges she faced as a Francophone student at McGill. Read the profile. 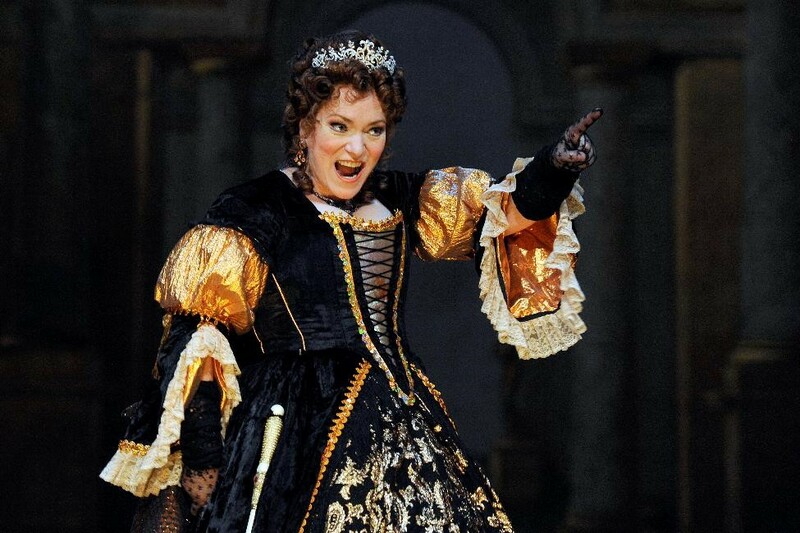 Dominique Labelle, LMus’86, is earning recognition for her vivid performances and her contributions to the world of opera. The soprano is also being praised for her work in one of the most challenging roles of her career – as a teacher at McGill’s Schulich School of Music. More. Margaret A. Gilliam’s $5M gift supports McGill researchers as they tackle the complex issues surrounding global food insecurity. Full story. Dr. Nada Jabado is a co-lead author of a study that singles out a key protein as the next potential target for immunotherapy treatments in patients with cancer and other diseases. Read more. Some of McGill’s exceptional students were feted at the Forces AVENIR Gala. More details. Isabella Boushey, a second-year M.Sc. candidate in the Dept of Natural Resource Sciences, writes about her first experience doing fieldwork. Read the article. Harvard prof wins world’s leading history prize for her genre-bending account of the life and world of the Polish-born British writer Joseph Conrad. Full story. Lina Bensaidane honoured for her work to advance the inclusion of Muslims in Quebec and Canadian society. Read the article. Lieutenant-Colonel Marie-Ève Tremblay, lawyer and veteran of deployments to Afghanistan and Democratic Republic of Congo, is the Assistant Judge Advocate General-Eastern Region, Office of the Judge Advocate General. If that wasn’t enough, she is also enrolled in the EMBA Program McGill. Read the profile. Yvette Nolan, McGill’s Richler Writer-In-Residence, has transformed Aristophanes’ 2,500 play The Birds into a modern tale about truth and reconciliation. Full story. Women made up half the recipients of the annual awards recognizing exceptional performance by individuals who work as administrative or support staff. More details. Arisha Khan defied the odds to become McGill’s 145th Rhodes Scholar and one of the first people from Canada’s child welfare system to earn the prestigious scholarship. Read the article. Catherine Lu, professor of Political Science, was selected as the recipient of a Friedrich Wilhelm Bessel Research Award of the Alexander von Humboldt Foundation. More. After making her mark as a prize-winning investigative journalist for the Toronto Star, Jayme Poisson, BA’06, is now the voice behind Front Burner, the new CBC News daily podcast. Full story. Q&A with Elham Emami, Dean of the Faculty of Dentistry and an internationally recognized clinician-scientist who has dedicated her career to the promotion of oral health through service, education and research. Read the interview. Kalyna Franko discusses the role of a speech-language pathologist, the inspiration she derives from patients and colleagues, and her life-long fascination with language, psychology and the brain. Get the full story. The recipients of McGill’s Jean Béliveau Athletic Awards for 2018 include soccer’s Sarah Dubois and swimmer Rebecca Gillis. The Award recognizes outstanding McGill student-athletes for leadership in the community. More details. Vanessa Sung, Co-Winner of the 2017 Principal’s Prize for Public Engagement Through Media, discusses the importance of scientists to connect with their communities by communicating their research to those outside of academic silos. Full article. Athletics & Recreation saw 108 athletes earn Academic All-Canadian honours. The most successful team was the hockey Martlets with 10 members of the 25-member squad being named Academic All-Canadians. Read more. Chatelaine magazine celebrates “newsmakers, trend-setters, policy-makers and all-around awesome women who helped put Canada on the world stage.” Full story. Chantal Vallée, MA’02, was a coaching sensation in the world of women’s university basketball. Now she is ready for her next challenge – as the first woman to hold the dual job of general manager and head coach in a men’s professional basketball league. Full article. Dietetics and Nutrition students Jamie Lee and Isabelle Lam pitched their startup snack business on the popular CBC television show Dragons’ Den. Read more. 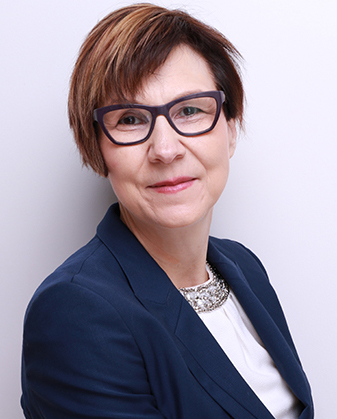 Principal Suzanne Fortier and Isabelle Bajeux-Besnainou, Dean of the Desautels Faculty of Management, represented McGill at the 2019 World Economic Forum Annual Meeting in Davos, Switzerland. More details. Maryse Thomas studies auditory neuroplasticity, which is how the sounds we hear shape our brains throughout our lives. 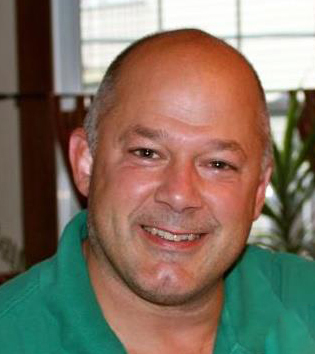 Read the profile. 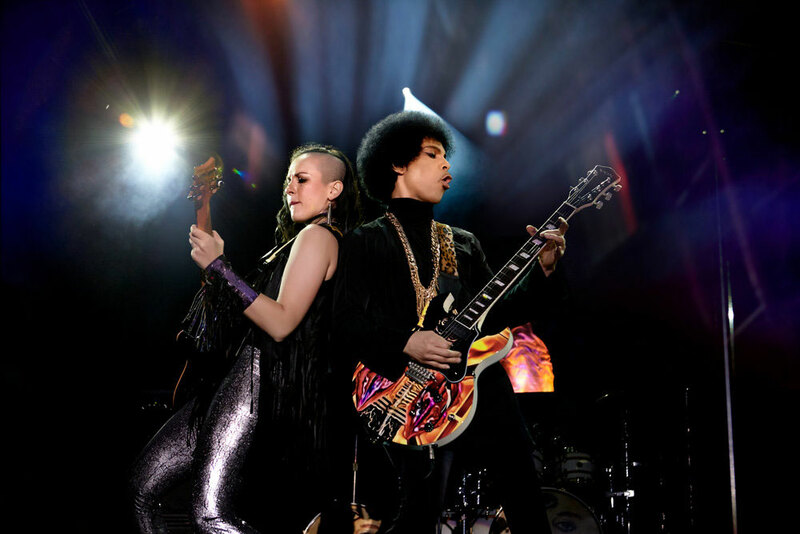 Donna Grantis, BMus’02, had the opportunity to work closely with one of the most spectacularly gifted musicians of her era – Prince. Read the article. Curator Kimberly White discusses the Women, Work, and Song in Nineteenth-Century France exhibition exploring women’s work and the cultural work about women in popular songs of the nineteenth century. More details. A reliable test for early detection of endometrial and ovarian cancers honoured by Québec Science readers. Read the article. Josephine Nalbantoglu talks about how graduate studies have changed since her days as a student at McGill. Read the interview. Ann Gossage, Administrative Assistant in both the Department of Natural Resources Sciences and the Department of Animal Science, earns the Macdonald Campus Award of Excellence for Administrative and Support Staff. Get the full story. Three scientists from the Research Institute of the McGill University Health Centre were named to the first-ever list of Canadian women leaders in global health. More details.